Excavator for sale is the all too frequent advertisement that meets any buyer of new or even second hand equipment. The task of acquiring an excavator is daunting with a long list to tick off if you are to get the best suited machine for the job. It is plagued with several pitfalls from reliability issues to availability off service support. 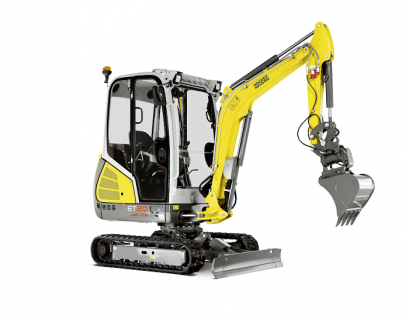 The fact that excavators today are state-of-the art, using hydraulic power with smaller turning radiuses ideal for tight spaces and intuitive joystick commands makes the task of buying an excavator all the more difficult. Industries like construction, utility, public works, mining, demolition, landscaping and forestry use them quite often to dig the trenches, holes and foundations. Specs will help you determine if the model you want can actually meet the job requirements, and is actually worth the price. Engine power is closely associated with maximum dig depth, weight and size. All work in tandem to get the job done right. As you make comparisons of machines with similar specifications, it is important to also think about engine type. The type of engine you go with will definitely have an impact on fuel and maintenance costs. Compact: Under 20 tons, 95 – 120 HP, Crawler: 20-40 tons, 150 – 275 HP; Heavy: Above 40 tons, 367 – 532 HP. Evidently, within each category of excavator, the horsepower varies. By going for an excavator that meets the job requirements with a minimum amount of horsepower, you save money in the long term while at the same time reducing your initial expenditure. It can be quite easy to get sucked into ‘just in case’ scenarios needing greater capability. But unless those scenarios are possible, opting for bigger with more power could be quite disadvantageous. Obtaining this information will insulate you from spending extra money on an excavator with excess depth. Dig depth impacts on an excavator price because of the engine power and counterweight necessary to achieve it. For instance, in the case of crawler excavators, dig depth can range from 6 feet to 25 feet, resulting in every foot of added depth; equaling an increase in corresponding price by 8%. Dump height is quite important, especially if you are going to be placing exhumed materials on a truck to be heaved away. You have to be sure the boom and bucket will empty the sides of the dump truck. If you are moving material around a jobsite, dump height is not that important. For instance, crawler excavators have heights that exceed 30 feet while compact excavators have a maximum dump height of 13 feet. Bucket capacity influences the amount of material that can be removed at any given time. For large excavation projects, time is of the essence. However, for more specific projects, a smaller bucket capacity allows for consistent operation. Bucket capacity does not have a huge influence on price as different types and sizes of buckets are available as accessories. Jobsite location is a key factor to consider as you think about the size of excavator on sale. Important questions to ask yourself include: Do you operate in tight spaces with limited turning radius? Do you operate in wide open spaces? Can you move the excavator from one point to another? What terrain will you be operating on? Mini excavators are a great option for tight spaces and jobs that require less power. They are flexible and quite easy to transport as well. Larger excavators normally require larger trailers with a higher weight tolerance. Surface damage: Weight of the excavator can be a factor as far as surface damage is a concern. For instance, if you do landscaping job mostly, minimizing damage is probably important. Therefore, the less the weight of the excavator, the less the damage is likely to be experienced. In that case, even if a job takes longer due to more trips, a smaller machine is the better value for you. Operating weight: Completely different from equipment weight, operating weight is another way to describe the counterweight. For instance, an excavator that has an operating weight range of 4 tons basically means that the load at the end of the boom cannot go beyond 4 tons. The information plate of the excavator will indicate to you the minimum and maximum operating weight. It is important to note that the maximum operating weight is a complete bucket load with the boom and stick at its furthest extension. 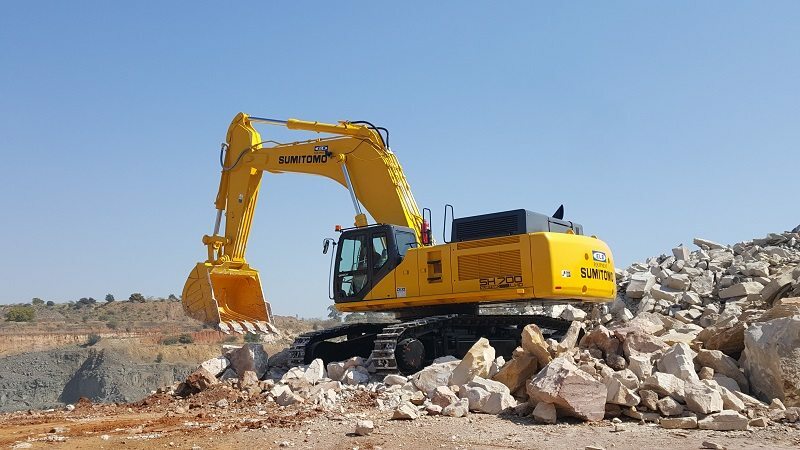 The compatibility of the excavator for sale with various attachments is very important because attachments can maximize the productivity of your excavator. Attachments substitute the bucket to perform other job functions, like posthole digging, breaking up concrete, backfilling or sorting materials. Swift coupling links that make it simple to switch attachments and universal hydraulic links enable operators to move smoothly from task to task, maximizing their time on site. According to Shane Kroeker of K-Tec in Canada, the earth moving industry is always trending towards larger capacity, in an effort to drive down costs for productivity. Truck & tractor manufacturers are coming out with larger sizes and more powerful engines. It only makes sense that these power-units are matched with higher-capacity attachments, such as scrapers, to become increasingly productive in the industry as an alternative to using excavators and dump trucks for earth moving projects. “Contractors need to continue to assess their fleet efficiency so that they are able to continue to have an advantage over their competition,” he affirms. Wacker Neuson’s excavators have the biggest cabin in the market. Some models are equipped with hydraulically extendable and retractable tracks (ET16 & 20) and from weights of 2 ton to 5 ton they can be equipped with our Vertical Digging System (VDS) enabling the operator to dig a trench straight down even if the machine is standing on a slope. We have an over sized combi cooler which allows us to operate in a higher ambient temperature. An important article for those who would want to purchase an Excavator. Finding the right excavator with the help of an article which gives tips on how to find a perfect excavator.